Created in 1977, the ANC Foundation is one of the most successful two-year college foundations in the state. It is directed by a Board of Governors with interest in providing Arkansas Northeastern College financial assistance. The foundation directly helps students through a large pool of privately funded scholarships. Currently the ANC Foundation has over $500,000 in endowed scholarship funds as well as many annually funded scholarships. Because many students' problems have financial implications, the Foundation works closely with the Financial Aid Office and the Admissions Office to help students remedy these problems. Hundreds of students are helped each year through ANC Foundation scholarships. In addition, the ANC Foundation along with a donor company -- Yamato Kogyo, Ltd. of Japan -- works to increase student opportunities and enrichment through the ANC Ambassadors to Japan Program. The Foundation co-sponsors two ANC students each year as ambassadors to Japan for a two-week stay. Students learn about a new culture, share their culture with the Japanese, and when they return, share what they have learned with the College and community. The ANC Foundation also works to build friendships and support for ANC in the community by hosting activities and events each year. Such involvement also increases visibility and awareness of Arkansas Northeastern College and the many opportunities it makes available to the constituency it serves. 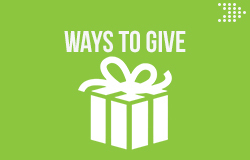 ► Other Ways to Give! Interested in the Ambassador to Japan Program? Check out information about this great program!